Do your kids love water balloons? They seem to be a favorite with kids of ALL ages. Mine are finally reaching the age where I can introduce them to the wonder of water balloons, and I’m planning to buy some for us to play with in our backyard this week! Naturally, I had to look up all of the best ways to play with water balloons, and I found some really fun and unique ideas! Here are 15 of the most fun ways to play that I found! Colored water balloon play – Different colors in each balloon! So fun! 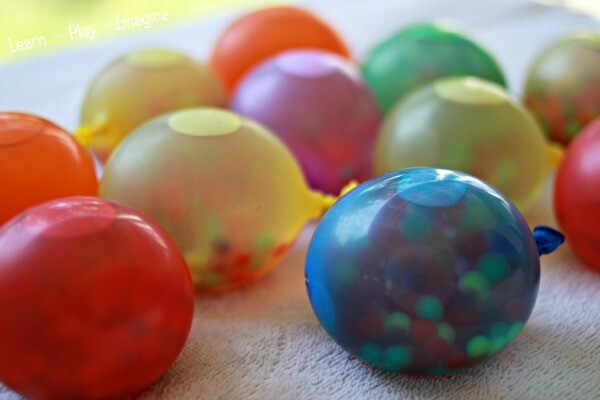 Frozen water beads in water balloons! – I love all the different elements to this game! Water Balloon Math! 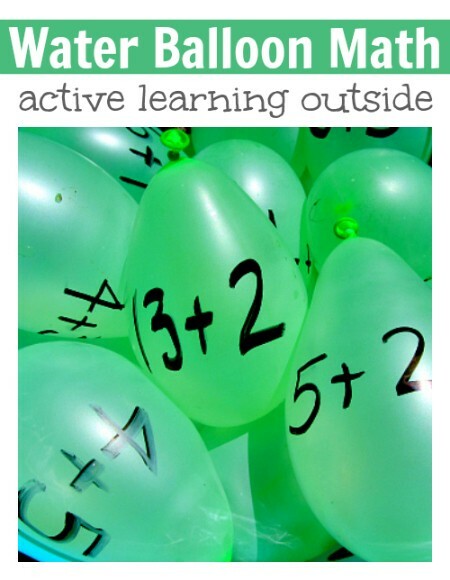 – I always hated math as a kid, but I bed I would have enjoyed it a bit more, if it had involved water balloons! This is also a great way to keep the learning going all year long! Angry Bird Inspired balloon game – I love when I stumble across something online that is just far more creative and exciting than anything I would ever come up with on my own! This is so neat! 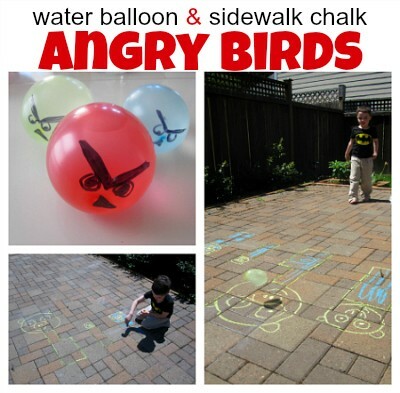 Angry birds fans of all ages are sure to have fun playing together! Color mixing with water balloons – This looks like such a fun idea! Learning about colors AND getting all wet in the process = perfection for kiddos! 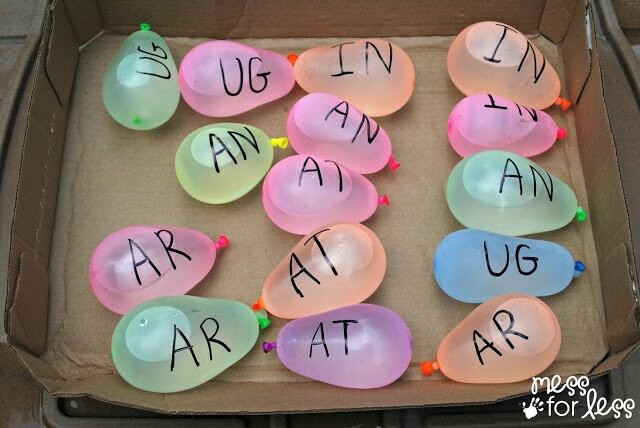 Water balloon phonics – This is another one of those genius ideas that just makes me go WOAH! My son is just starting to learn some phonics and so this is right up his alley! I love it with creative fun and learning can mix together so perfectly like this! 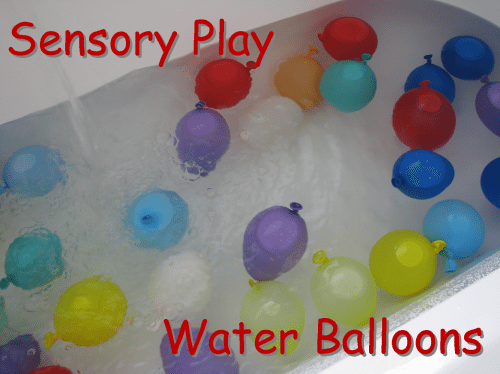 Bathtime Water balloon sensory play! Water Balloon Target Practice – Great way to work on throwing/aiming and agility while having fun on the driveway! 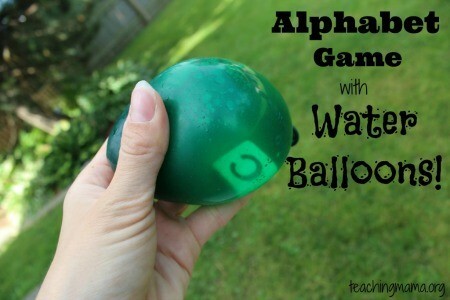 Alphabet game with water balloons – This game is unique since you put things IN the balloons! Water balloon hunt! – My kids would flip out for this! Such a cute idea! 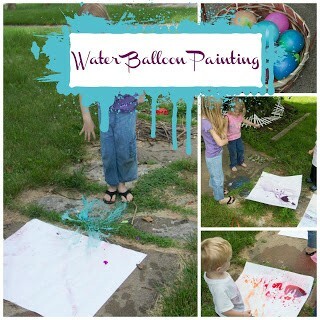 Painting with Water Balloons – Okay, this combines two favorite things, paint, and balloons! I love how cute their designs turned out as well! An easy afternoon favorite! Water balloon towel toss – I don’t think my toddlers could handle this one, but it looks like so much fun for older kids! Water balloon net toss – fun for smaller kids AND bigger kids! 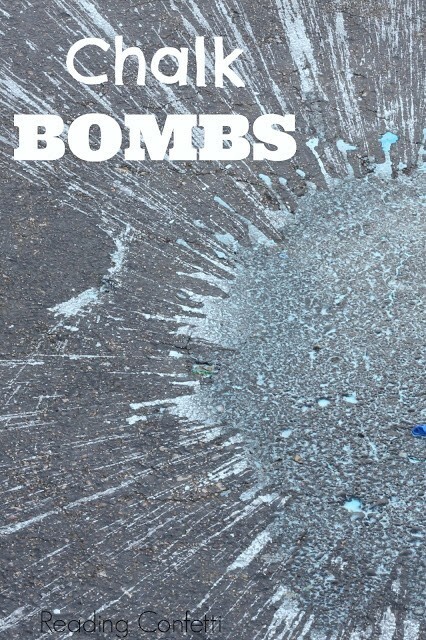 balloon chalk bombs! – I love how these make a splash that lasts! Be sure to read the tutorial because she shows a couple different ways to do it depending on the effect you are wanting! 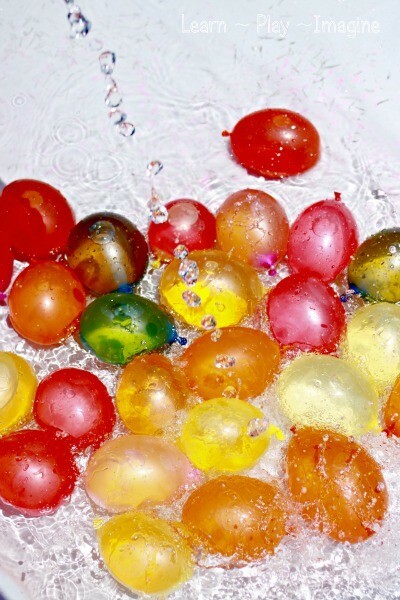 Do your kids love playing with water balloons? Which one of these would be their favorite? I have so many water balloons! Now I actually have ideas of what to do with them all! Thank you for sharing. 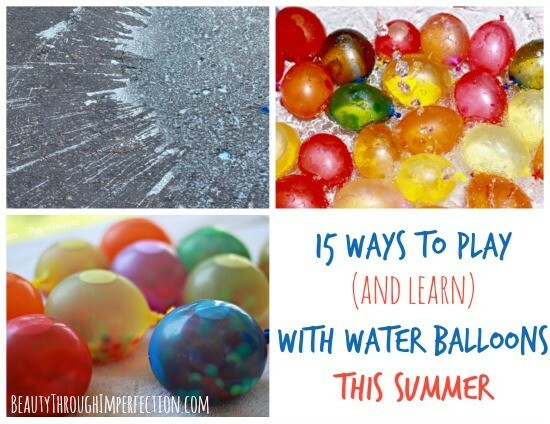 Hey Buddy!, I found this information for you: "15 Ways to play with water balloons this summer". Here is the website link: https://www.beautythroughimperfection.com/water-balloons/. Thank you.